Being stuck in the house for the most part of last week I cooked and baked quite a bit. 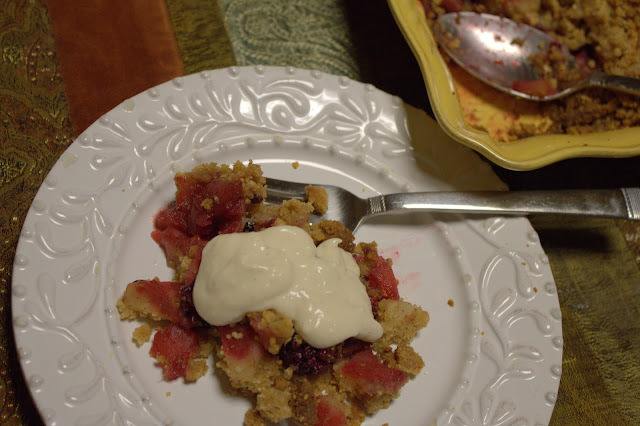 I came up with this apple-blackberry crisp recipe by using ingredients I had on hand. Sometimes this is how some of the best recipes are born. 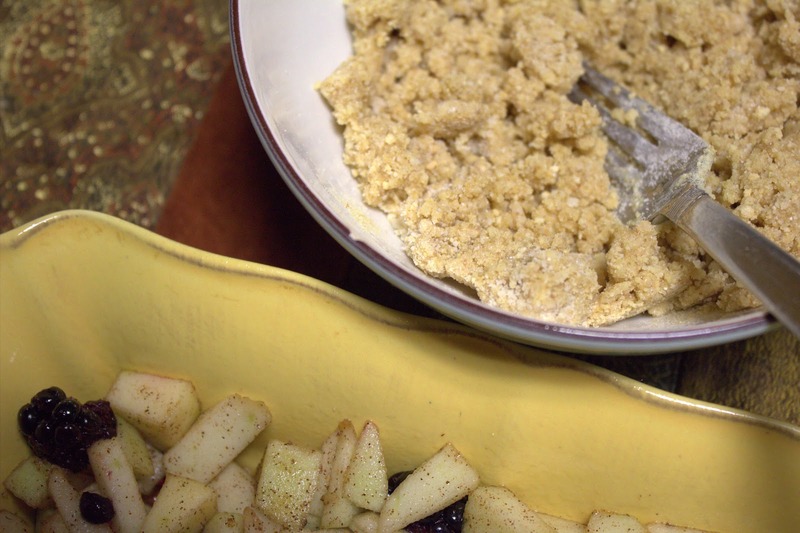 Make the topping: Combine all dry ingredients in a medium bowl. Rub in the butter with your fingertips until it's well blended and the mixture crumbles coarsely; it should hold together when you pinch it. Refrigerate the topping until you're ready to use it. 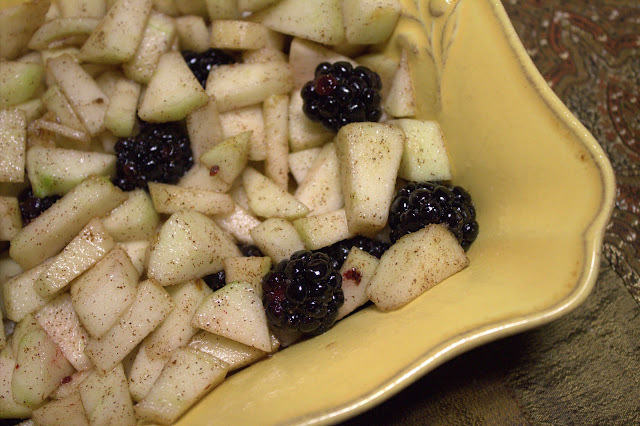 Make the crisp: Put the apples and blackberries in a large bowl. Taste the fruit and sprinkle on the sugar as needed. In a small dish, dissolve the cornstarch in the lemon juice. 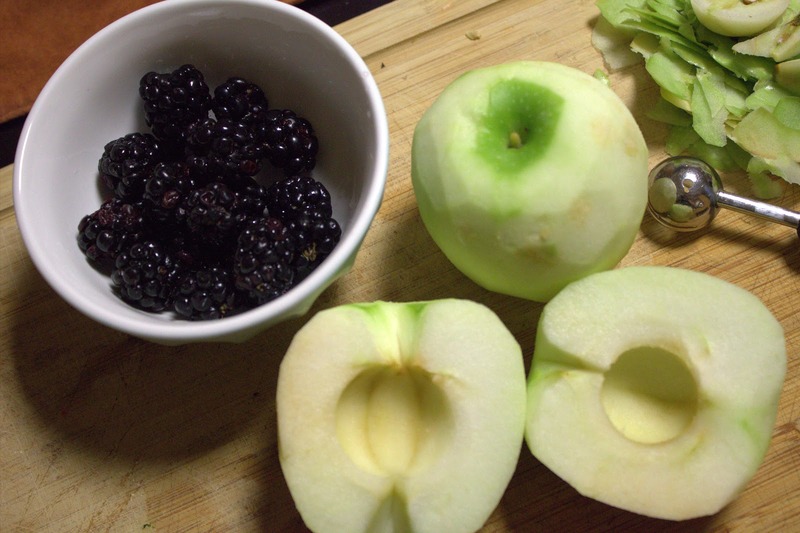 Gently toss the mixture with the fruit. 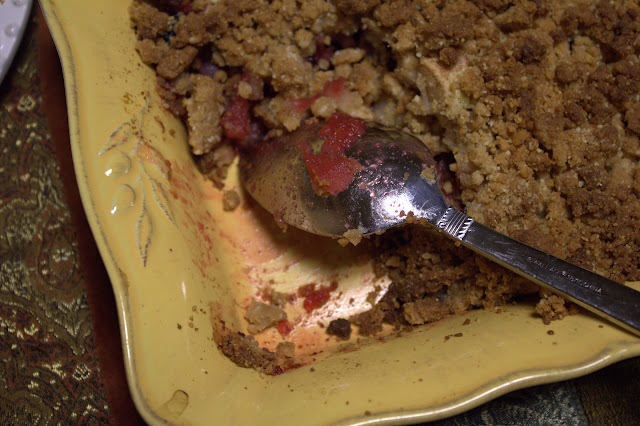 Pour the fruit into a small square baking dish. Top the fruit with the topping and bake for 20 minutes. Let cool for 20 to 30 minutes. Serve warm. Ideally, I would top this with ice cream, but since I didn't have any on hand I made some homemade maple-cinnamon whipped cream. Yum! Looks like a wonderful fall treat! My favorite lifestyle blogger. You're amazing as always!